In the market for a new car? There’s a lot of decisions on the road ahead. What kind of car meets your needs? Is it in your budget? New or used? Lease or buy? All of these decisions have one common factor that needs to be considered as you work through them: Your credit. Unless you are able to pay for a car in cash outright — which very few can do — your credit will be considered at some point in the car purchasing process. But what if you have bad credit? While those looking to buy or lease with bad credit may be more limited than someone with strong credit, there are still several options available to meet your transportation needs. So which option is best for those with bad credit? First, let’s take a look at the differences between buying and leasing a car. Buying a car is pretty straightforward — you are purchasing the vehicle (typically with some means of financing support like a loan) and it becomes your property. But what about leasing? Leasing is essentially renting a car in a similar way to which you would rent an apartment: There is an agreed upon period of time of which you will be renting and the down payment is substantially less. However, there are limitations because you technically don’t own the car. Lease agreements are typically for two to three years. You are allowed to drive 12,000 miles per year. If you go beyond that, you pay a penalty per mile. You’re required to have full coverage through insurance, occasionally requiring above-average coverage for property damage insurance, liability, etc. 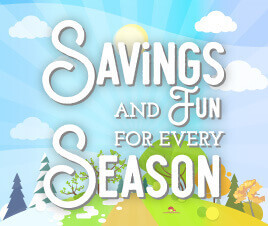 If you return the car with any of the above issues and beyond typical wear and tear, you will be charged extra fees. The car is typically new or barely used and is still under the manufacturer’s warranty. The last thing you want to do when you have bad credit is to make it worse by making a financial commitment you can’t keep. A car is a large purchase and needs to be considered carefully. The option to buy or lease isn’t easy, and it really comes down to which one better fit you and your lifestyle — that means your driving patterns and your budget. For example, let’s say you feel the leasing option is best for you because you don’t have a lot of money to put down and the interest rate available to you for a car loan is just too high. Plus, it will be nice to have a new car every few years! However, your job requires you drive all over the city and the suburbs so mileage racks up quickly. At the rate you’re going, you’ll be over your mileage restriction by 5,000 miles at the end of your lease, maybe more. At $0.15 per mile over, you’re looking at $750 of extra expenditure. Make sure to account for all aspects of your life before making your final decision to lease or buy. Still unsure? Use this handy chart below to compare and contrast your options. Getting a new (or new-to-you) car is a big decision! 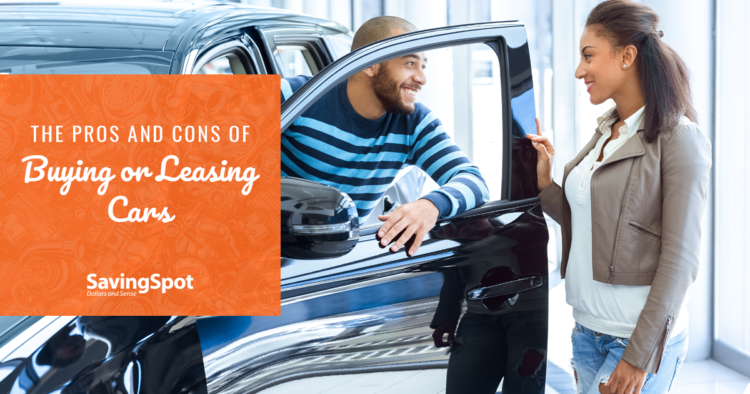 Besides looking at gas mileage, safety features, and all the other bells and whistles, you need to decide if you want to lease or buy the car. Which is better for you and your credit? Use this chart below! You need a car, but don’t exceed 1,000 miles per month on average. You don’t have a large sum to use for a down payment. You are unsure of your personal or professional status beyond the next two or three years. You’ll have lower monthly payments than if you’d buy. You’re potentially interested in buying the car two to three years down the road. Your car budget cannot cover the cost of a car payment and high liability and property damage insurance. You drive for work or personal use in excess of 12,000 miles per year. You live in a high-traffic area where your car tends to get a lot of dings and scratches. If you need to terminate your lease early, you end up paying fees or the remaining monthly payments. You’re paying money towards an asset, rather than a rental fee. You have 100% control in the decision making when it comes to the vehicle. No limitations as to how long you own the car and you can trade it in toward a new car. The costs of maintaining an older vehicle after you pay it off. Loan payments are typically higher than lease payments because you’re paying off the entire purchase price of the vehicle rather than just the estimated depreciation.